A nice gift for the Father’s Day may be a memory book – simple, easy in crafting and very pleasant for any Dad. 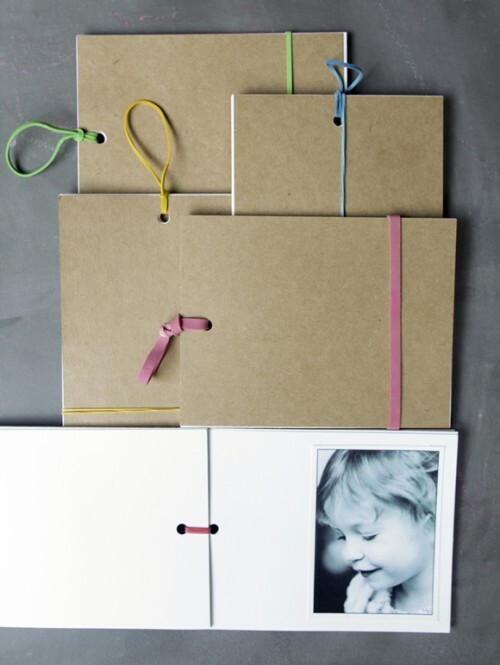 To make one such book, you’ll need to gather 3 pieces of white card stock paper, 1 piece of colored paper for the cover 2 colorful rubber bands, a hole punch, 10 wallet sized photos, and some glue or double sided tape. Cut the paper and discard two of the white rectangles, leaving ten pieces of white paper and two pieces of colored paper. 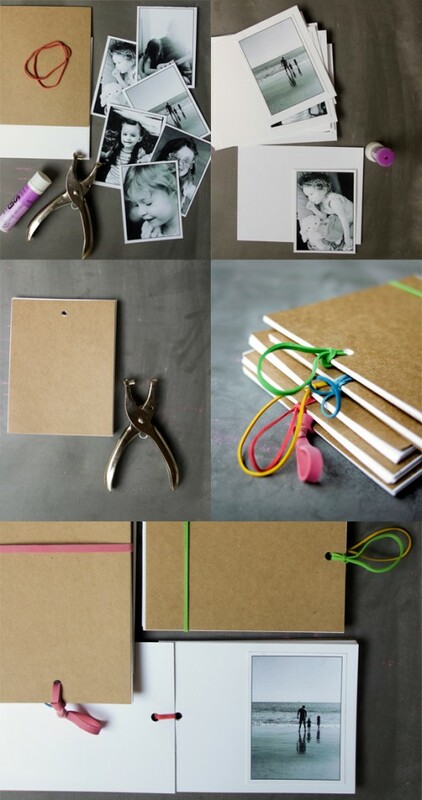 Glue photos to the right side of rectangles; write some personal messages or information. Put the rectangles in proper order and stack, make holes in each page near the middle. Slip a rubber band halfway through the holes and make knots. Enjoy!